Even though I knew what drew me to Belfast, I wasn’t quite sure what to expect. Would I catch a glimpse of the stereotypical scenes of violence portrayed in the evening news or be taken back by the fear and anxiety of being in the crossfire of a foreign land? 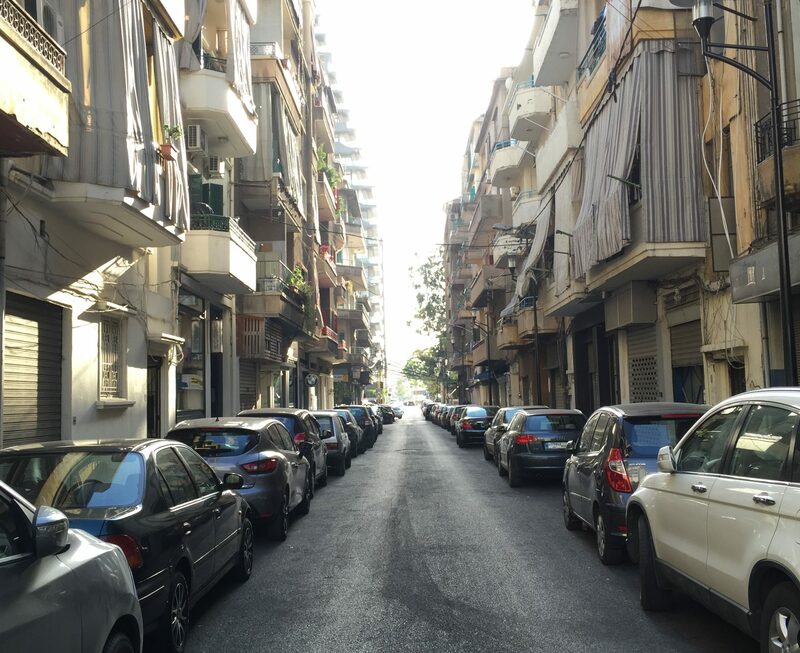 Would I see a city of insanity and contrasts, similar to the city I call my own, or was it that there was nothing like Beirut in the world, with all its idiosyncrasies, its deep-seated divisions and long-running hatreds? It isn’t for nothing that numerous parallels have been drawn between Belfast and Beirut in recent years. Whether being for its shared sectarian tensions or the mere fact that its most heated times of conflict are referred to as “The Troubles” (Lebanon’s equivalent being “the events”/”الأحداث” in reference to the civil war), an underestimated description, as if dismissing the true nature and depth of the conflict. Or for being a city of living contrasts, where nonchalance lives side by side to readiness to fight for all the wrong and twisted reasons. In this sense, and quite sadly, there was somewhere like Beirut in the world after all, with perhaps even more division and sectarian tension (or so I thought)…and it doesn’t take much to discover it. Once out of the bustling Belfast city center, out to the periphery of the city where the heart of “the Troubles” still seems to rage, all of what Northern Ireland is notoriously known for comes to the fore. I didn’t witness violence unfolding in front of my eyes, but I saw it and felt it in almost every corner of almost every neighborhood, whether Unionist/Protestant or Republican/Catholic. 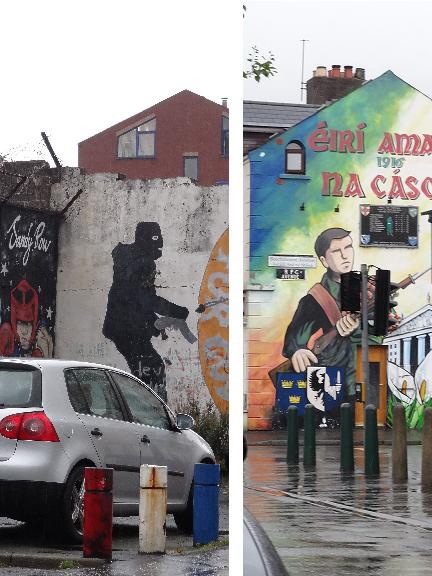 Belfast’s amazing murals tell the story of “the Troubles” and lives lost on both sides, but are a constant reminder of the conflict and the mutual hatred. They stand as a powerful history of what occurred (“In proud memory of our fallen comrades. We forget them not. At the going down of the sun and in the morning we will remember them” noted one mural signed by the pro-Britain Ulster Freedom Fighters), of the intensity of sentiments that still remain (“SpringHill WestRock Massacre. Belfast’s Bloody Sunday. On Sunday the 9th of July 1972, the British Army murdered 5 Irish citizens and severely wounded 2 others. It’s time for the truth.”) and an utter defiance of both sides in facing the future (masked gunmen portrayed on walls on both sides of the divide, if only as an insinuation of what may always come). I didn’t feel afraid approaching areas where Protestant and Catholic areas meet (so-called urban interface areas), but felt an indescribable unease as the iron gates separating some of these areas prepared to close down at sunset. 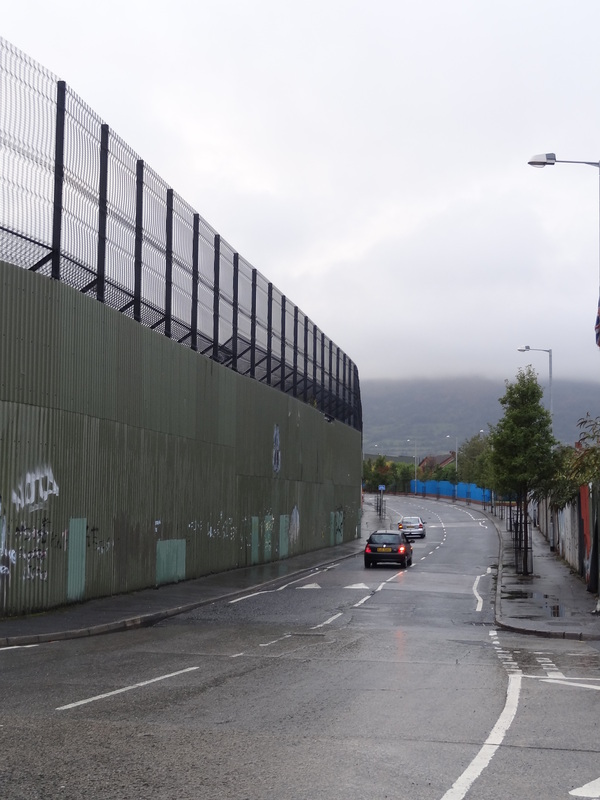 And then there was the wall…because peace in Northern Ireland, no matter how tenuous, can still not be guaranteed without a physical separation between brothers and sisters. As I wondered the streets of Belfast and tried to make sense of the intensity of the murals and walls in and around interface areas, Beirut seemed to fare better in comparison. Part of me wanted to believe that, and part of me knew better not to. But nothing quite resonated than what I heard a professor and specialist on Northern Ireland say on the future of the conflict. “There is no will on the ground to solve the issue,” he said, and therefore no campaigns, virtual or otherwise, would be of any help. There was a certain momentum after the signing of the Good Friday Agreement in 1998, but that has long disappeared, he declared. The IRA bombing campaign destroyed the economy – nothing to do with a failed state – it managed well prior to The Troubles. De-industrialisation and investors scared off by bombs.. The DisplayPort standards are being defined by Video Electronics Standards Association (VESA), which is an organization setting the global standards in the display segment.